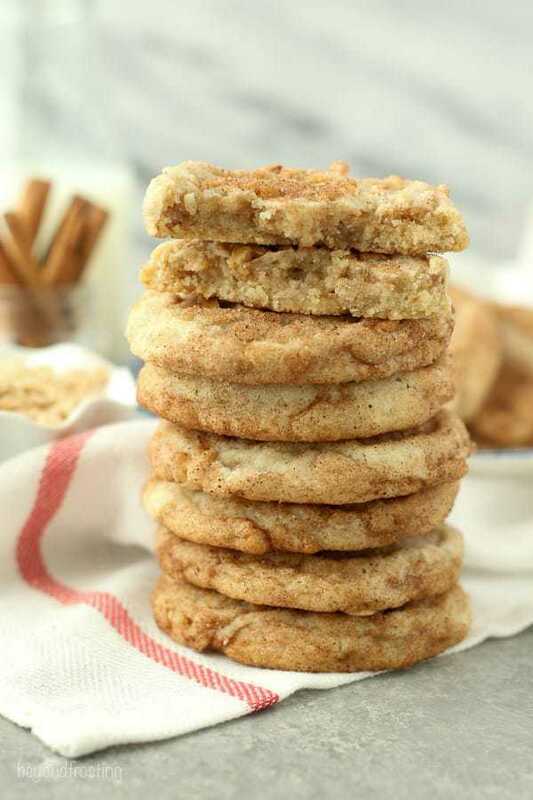 These Toffee Snickerdoodles are soft and chewy, covered in cinnamon sugar and loaded full of caramel flavored toffee. When you walk into a bakery, are you more likely to go for a cookie or a piece of cake? Maybe something completely different? I am all over the place, but I usually tend not to get cookies, because I find it is so hard to get really good cookies. Unless of course it is a soft baked, buttery cookie perhaps chocolate chip or snickerdoodle. I just hate it when I get an overbaked crispy cookie, what a waste of calories! My fiancé was the first person to discover these Toffee Snickerdoodles at Starbucks. He NEVER orders sweets while we’re out and about and he told me these were a must-try and that I needed to try them heated. Okay fine, twist my arm! Since Snickerdoodles are my go-to cookie for parties and such, I figured there was no harm done in throwing some toffee in the mix, and boy was I right. 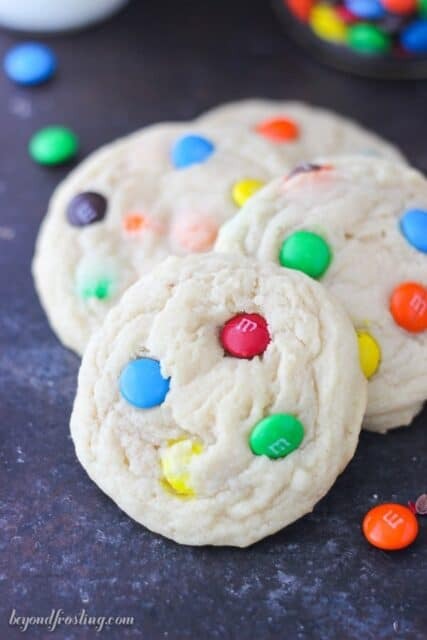 The dough I used for this mix is my master soft and chewy cookie dough. 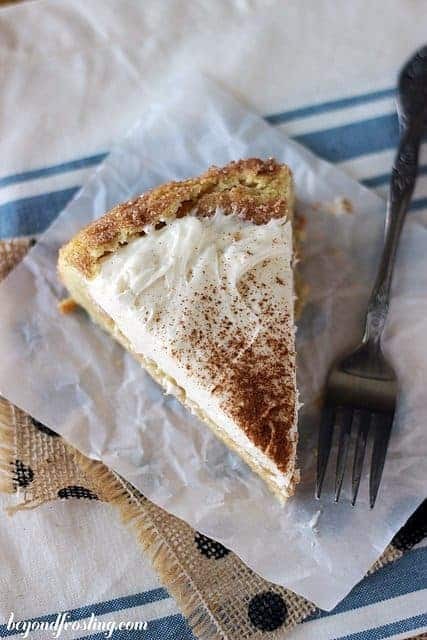 It is very versatile, and if you didn’t want to make them as a snickerdoodle, you would just omit the cinnamon and sugar topping. The only requirement for this dough is that it be refrigerated for at least 30 minutes or longer, otherwise you’re going to end up with pancake cookies. The cookies themselves don’t rise that much, they are definitely flatter than domed, but they get a nice crispy edge and stay soft and chewy in the middle. I do leave them slightly unbaked in the middle, but you need to be careful that it’s not too under done. If you’re unsure, I recommend trying a test batch first. 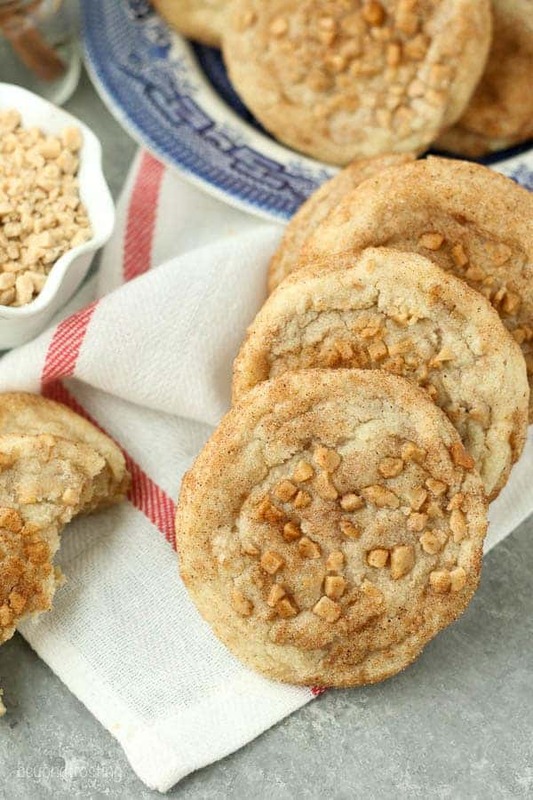 This is the perfect cookie to bring to a party or to ship to your friends. I like to make large cookies using a 3 tablespoons cookie scoop, which makes about 24 cookies. If you want a higher yield, you can use a 2 tablespoon scoop and get about 36 cookies. 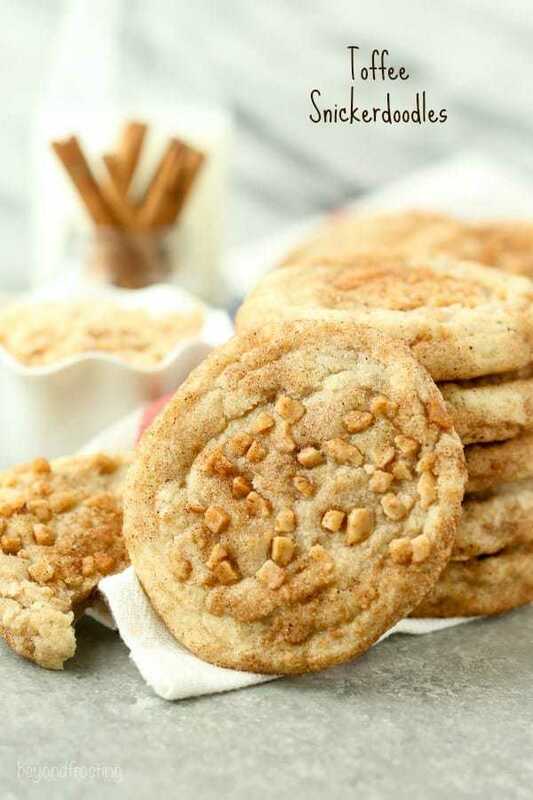 If nothing else, you have to give these a try and I know you’ll fall in love with these soft and chewy Toffee Snickerdoodles.